Home News Can GOP fine-tune economic message? Can GOP fine-tune economic message? Facing a recovering economy and a tumbling jobless rate, Republican presidential candidates honing their economic message are trying tap into a lingering sense of insecurity among Americans seven years after the global financial crisis. And some are striking a sympathetic tone with lower-income workers in a way that contrasts with four years ago when Mitt Romney struggled to overcome perceptions that he was largely the candidate of the wealthiest Americans. Then, Republican nominee Romney had the luxury of being able to hammer President Barack Obama with an unemployment rate of more than 8 percent. Now, with the jobless rate at 5.5 percent, the 18 Republican White House hopefuls who gathered this weekend in the key early primary state of New Hampshire faced the challenge of arguing the country needs new economic stewardship even as the worst of the downtown has passed. 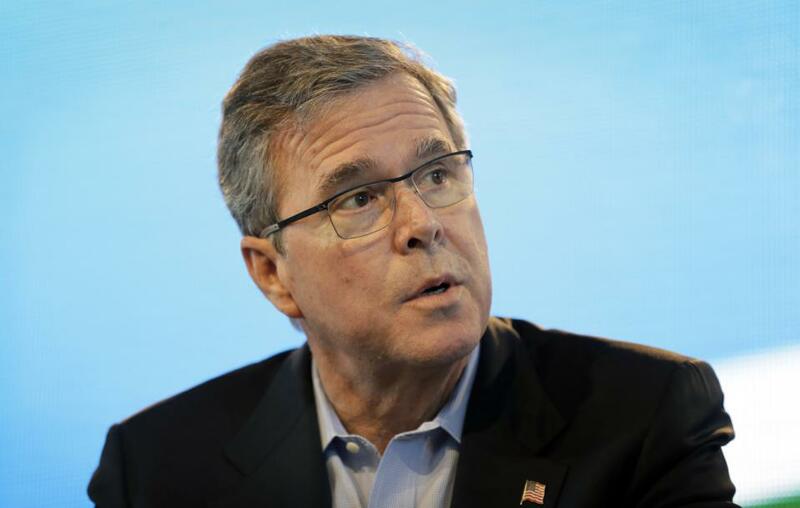 Former Florida Governor Jeb Bush said that simply blasting Obama’s economic policies would not suffice. “We will not win if we just complain about how bad things are,” he told a crowd at a hotel ballroom. Republican pollster Frank Luntz said Bush and other contenders are taking the right tack. The U.S. economy grew by 2.4 percent last year, the largest increase since the depths of the recession in 2010. Bush would like to see the economy hum at closer to 4 percent and frequently points out that the rate of new business formation has dropped steadily since the 1980s and that business deaths now eclipse starts. Even as the economy steadily added jobs, wages have remained flat. Earnings grew just 1.7 percent in 2014, according to U.S. government data, well below the 3.5 percent that economists say is needed to reap the benefits of an expanded economy. The public mood remains sour. Sixty percent of Americans in March said the economy was on the wrong track, according to Reuters/IPSOS polling data, although that was an improvement from 71 percent in May 2014. With New Hampshire’s primary still nine months away, the weekend provided an early glimpse at economic ideas that have had little chance to be fully formed. Most of the campaigns have yet to bring on extensive policy staffs. But there is some urgency: In the first days of her candidacy last week, Democratic front-runner Hillary Clinton made it clear that she will make the plight of the middle class central to her campaign. Some Republicans at the gathering tried to address concern about rising income inequality and the struggles of the nation’s middle class to keep pace with the cost of living. Sen. Marco Rubio of Florida said millions of Americans no longer believe they can achieve financial success. Rubio, who announced his run for the White House earlier this month, went the furthest in trying to reach voters who aren’t benefiting from the recovery. He talked of the importance of vocational training programs and suggested that college isn’t the right path for all students, especially given the enormous debt load than many end up carrying. Sen. Rand Paul of Kentucky, who has proposed a federal flat tax rate and creating “economic freedom” zones for distressed areas such as Detroit and Appalachia, said Republicans had to do more to reach working-class voters. “If you want to win elections, you’ve got to get the people who work for the people who own businesses,” he told the crowd.